Phone calls are an important sales channel for many advertisers to grow their business in industries such as financial services, education and automotive. While many customers start their journey with a search that leads them to a webpage or an application, they may complete their purchase over the phone with a sales rep. When that happens, it’s important to connect the phone sales back to the ad campaigns that may have assisted. Call-tracking systems (CTS) can now interoperate directly with Bing Ads and import call conversion data through our Offline Conversion Import tool and related set of APIs. One of our first partners to support the new call conversion capability is CallTrackingMetrics. 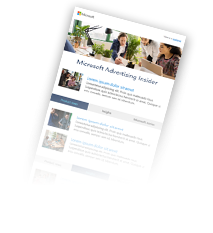 We look forward to many other call-tracking providers using our offline conversions capability to connect call conversion data back to Bing Ads. This enables better reporting insights, campaign optimizations and platform enhancements based on the wider impact of your search campaigns. If you have any comments or suggestions around the call-tracking capabilities, we’d love to hear from you on Twitter or in our UserVoice forum.